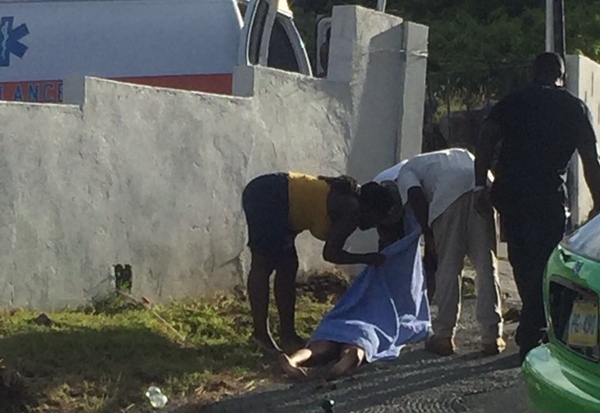 Police officer and community members were seen carrying one of the injured persons on stretcher today, June 24. 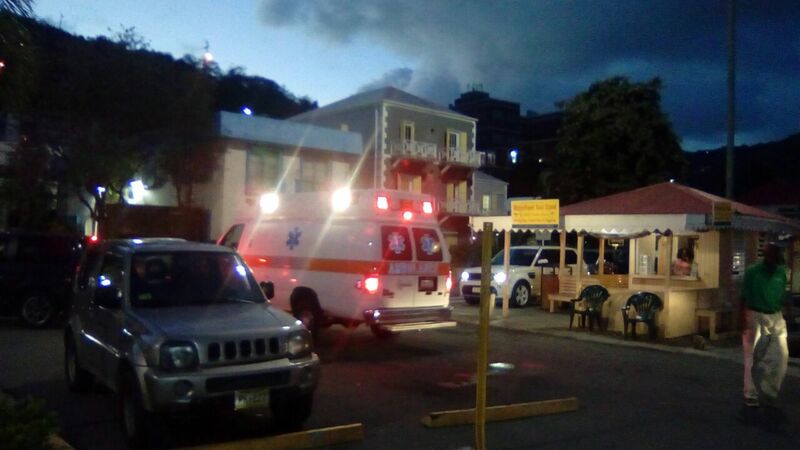 A vessel carrying two injured passengers arrived at the Road Town Jetty approximately 7:20pm, following reports of a motor vehicle accident on Virgin Gorda today, June 24. 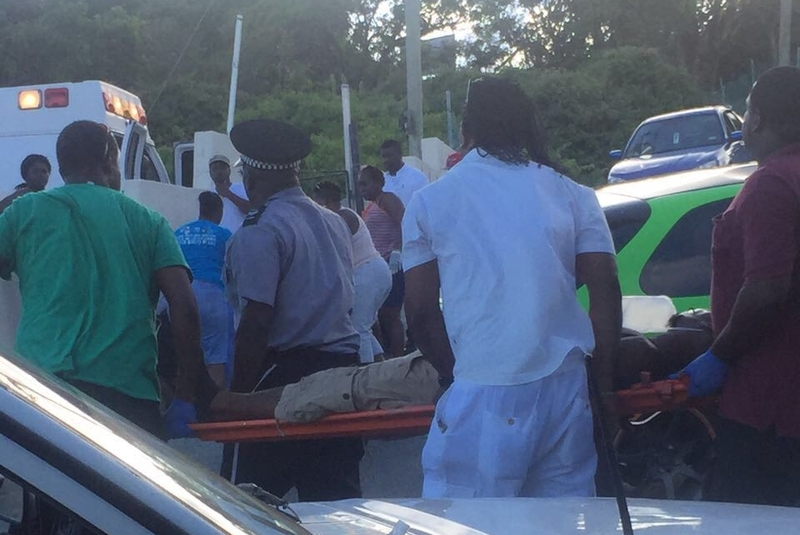 The injured parties were then removed from the vessel, stretchered to two awaiting ambulances, and then taken to Peebles Hospital. 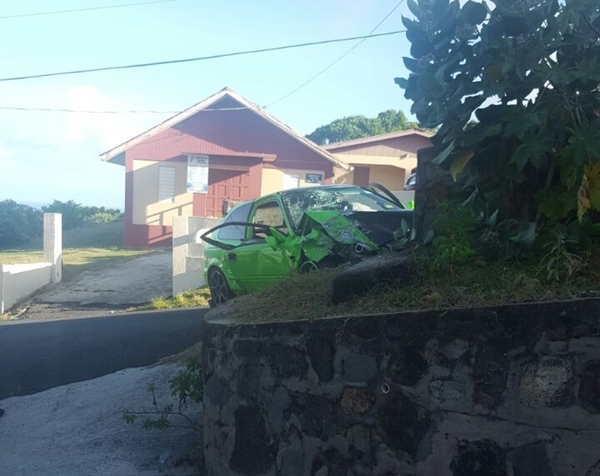 Their condition and details of the incident are not yet clear. 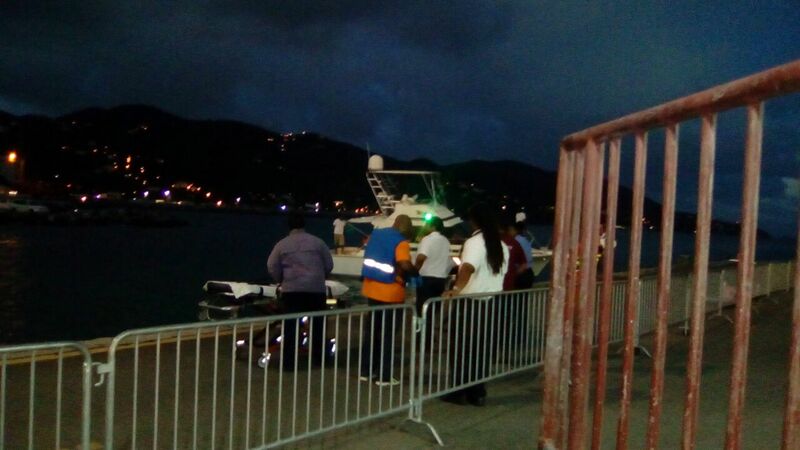 Below are photos of the crash scene on Virgin Gorda, as well as the victims being transported through the jetty on Tortola.